Is it OK to use the Coregas Argon gas to MIG weld thin sheet steel, ie spot/stitch welding thin sheet metal used on automobile body panels? Having recently carried out similar work on a Ford F100, welding a new floor section in the cabin as well a roof section, I achieved excellent results using MIG shielding gas, which is 5% carbon dioxide (CO2) and 2% oxygen (O2). 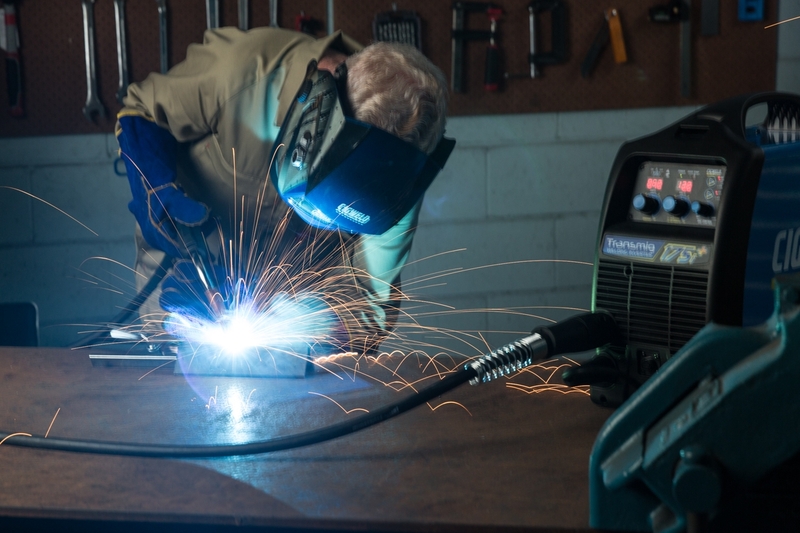 As a general rule when Gas Metal Arc Welding (GMAW) - also known as Metal Inert Gas (MIG) welding - mild steel we always use either a two part mix, argon plus oxygen (O2) or argon plus carbon dioxide (CO2), or a three-part mix consisting of argon, O2 and CO2. When we use argon alone we see reduced weld penetration and a narrow convex weld bead. To test the theory I conducted trials, one using argon the other using MIG shielding gas. As shown by the photos below, on the test coupon using MIG shielding gas the weld bead has a much more appealing finish. The weld is not as convex and blended in at the edge of the weld, much better than the argon sample. The O2 aids edge wetting at the toe of the weld and helps to stabilise the welding arc while the CO2 assists with weld penetration. The CO2 also copes better with rust and mill scale and other surface contaminants. For the project as mentioned on the Ford Bronco you will find welding with MIG shielding gas easier to use giving superior results.